“We will take our own measures [against Kurdish-majority force]. Regardless of who backs them, whether it is the U.S. or other countries, it doesn’t matter to us,” the foreign minister told reporters in Canada’s Vancouver city, reports Turkey’s state-run Anadolu Agency. Alluding to “a possible military operation into” Kurdish-controlled northern Syria, the foreign minister pointed out that Turkey will continue to fight against the U.S.-allied People’s Protection Units (YPG/YPJ). The YPG is the armed wing of the Kurdish Democratic Union Party (PYD) that controls vast swathes of northern Syria (the YPJ is it’s all-women analog). America’s support for the Syrian Kurdish groups, which Turkey considers to be terrorists linked to the Kurdistan Worker’s Party (PKK), has driven a wedge between NATO allies Ankara and Washington. Although the United States has also deemed the PKK to be a terrorist organization, it has provided support to the Syrian Kurdish groups in their fight against the Islamic State (ISIS/ISIL). 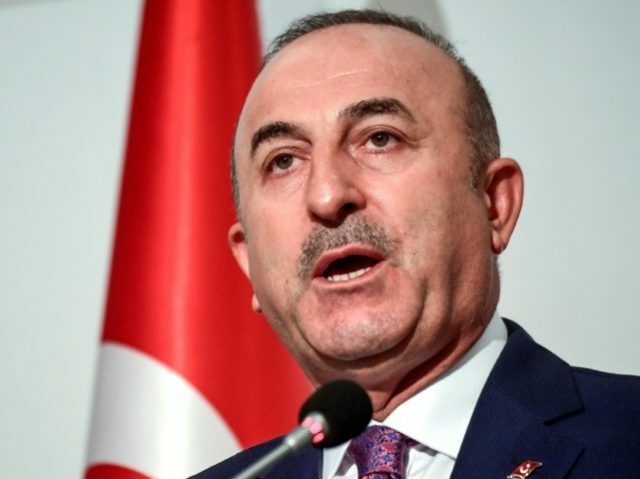 Cavusoglu’s warning comes after Turkish President Recep Tayyip Erdogan pledged to “choke” the 30,000-strong Syrian Border Security Force (BSF). The U.S.-backed Syrian Democratic Forces (SDF), a Kurdish-Arab alliance made up primarily of YPG fighters, is expected to lead the BSF. “The U.S. has admitted to setting up a terrorist army along our country’s borders. Then, our role is to choke this army of terror before it is born,” declared an angered President Erdogan, reported Kurdistan 24 on Monday. Referring to the Syrian Kurdish groups and its affiliates, Ibrahim Kalin, a spokesman for Erdogan, added that Turkey has the right to defend itself against “terror groups” on its terms and time, according to Reuters. “Turkey will continue to take all necessary precautions aligned with its national interest to preserve its national security,” proclaimed Kalin, echoing the Turkish president and foreign minister.